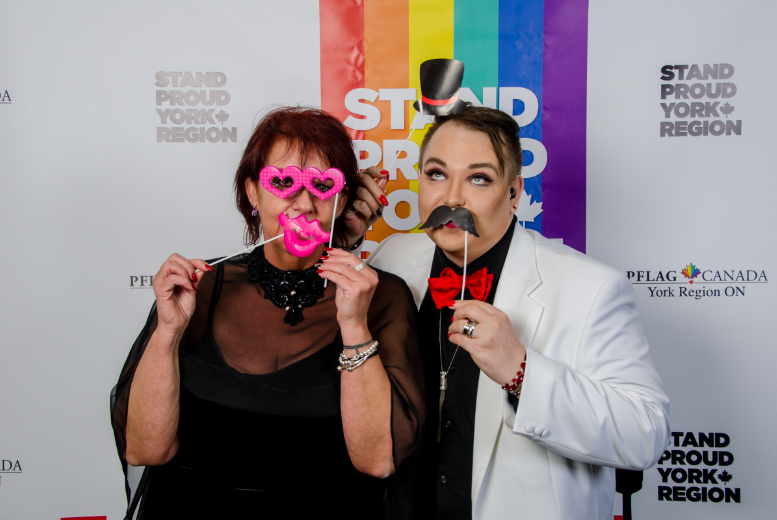 MARKHAM, ON – March 6, 2017 – On Friday, March 3, Pflag – the Regional Municipality of York’s LGBTQ support, resource and education network – hosted the much-anticipated 4th Annual Stand Proud York Region Charity Gala, presented by KPMG, at Crystal Fountain in Markham. With over 350 members of the LGBTQ community and its allies in attendance, pride in York Region was at an all-time high. 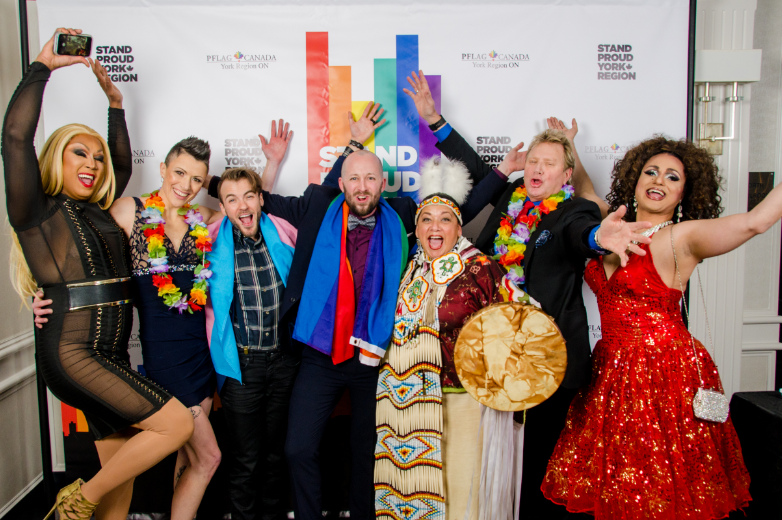 The Stand Proud York Region Charity Gala is the most colourful celebration of the year, directly benefiting the LGBTQ community. This year’s event paid tribute to the 49 victims of the largest mass shooting in American history in Orlando, at Pulse Nightclub last June. This pre-meditated and targeted attack on the LGBTQ community was a reminder that the fight for equality is far from over, and that Pflag’s services are integral now more than ever. 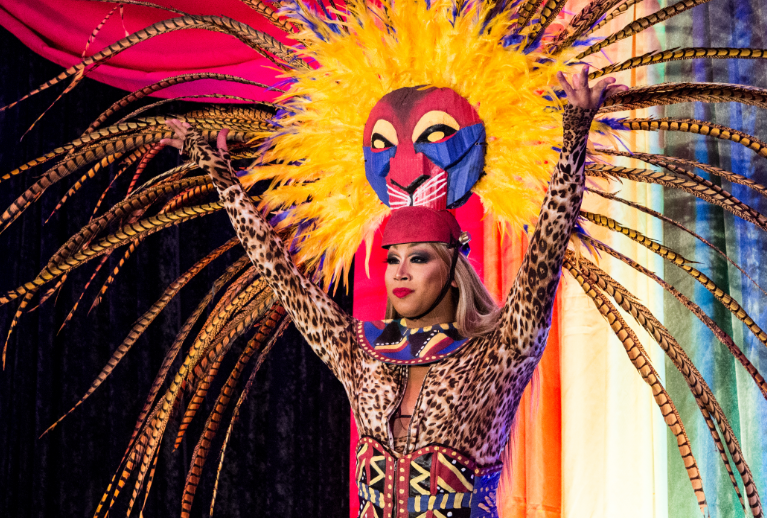 The gala also provided the opportunity for members of the LGBTQ community and its allies to celebrate sexual and gender diversity, while building a more inclusive, tolerant and bright future. Funds raised at this charity event will help Pflag continue to provide vital services to the community, and to be there for those in need when it seems no one else is. Max Denley was the proud recipient of Pflag’s 2017 OUTstanding Achievement People’s Choice Award for his work with The Get REAL Movement. Through this initiative, Max shares his story of perseverance and self-discovery through mental illness and transition for the purpose of energizing LGBTQ youth and their allies to embrace their own stories. International Guest of Honour and recipient of the 2017 Inspiration Award, Aydian Dowling, spoke about the importance of standing proud and how if we fight for our limitations, we become the owner of them. Aydian is a Female-to-Male (FTM) transgender activist from Long Island, New York and is most well known for documenting his own transition from female to male on YouTube as a way to voice his thoughts, fears, and successes; as well as offer a support mechanism for others looking to transition. He was also the first trans male to be on the cover of Men’s Health magazine and continues to break down gender barriers around the world. Pflag is joined by a lineup of special guests to celebrate diversity and inclusion in the Region at the 4th annual gala! All guests showed pride in their true colours at the wonderful event. For more pictures, check out #StandProudYR! About Pflag Canada York Region:Pflag Canada York Region is a local registered charity dedicated to building a stronger and more accepting community and is there for those in need, when it seems like no one else is! Every day, our dedicated volunteers are contacted by frightened adolescents and by angry, confused or ashamed parents. The organisation supports, educates and provides resources to anyone with questions or concerns about sexual orientation or gender identity and works closely with other community organisations, elected officials and local businesses to celebrate the LGBTQ community’s diversity.